In case you’re living under a rock, a hurricane is a brewin’ just off the east coast. 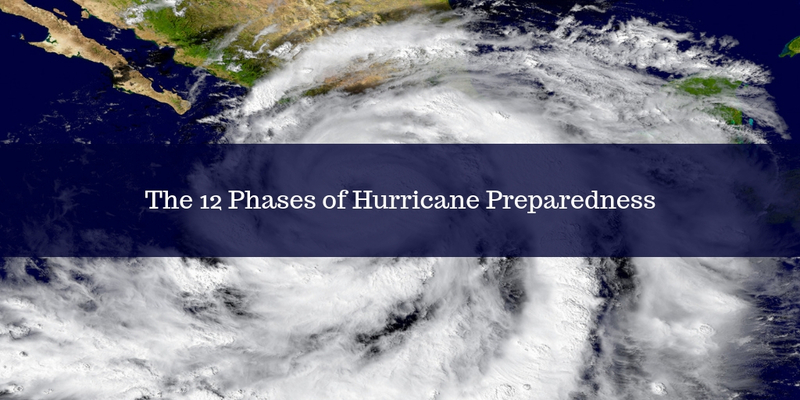 Florence with all of her feminine wiles is threatening to be one for the record books, and while we are actually a little bit nervous if we’re being honest, we can’t help but document the steps of military spouse hurricane preparedness. And what better way to do that than in GIFs? Step 1: Hear an EPIC STORM is coming your way. Step 2: Check Facebook repeatedly for details, because we all know social media doesn’t lie. Step 3: Decide this one might be legit. Step 4: Buy all the snacks and water in the land. Step 5: In a moment of weakness, eat all your hurricane snacks. Step 6: Fine tune your hurricane tracking skills. Step 8: Find out your spouse has to evacuate, leaving you to “handle things” on your own. Step 9: Research per diem rates and weigh those options against the odds of the hurricane + the logistics nightmare that is evacuating solo with kids and dogs. Step 10 (if you evacuated): Chalk it up to an adventure and order breakfast in bed. Step 10 (if you stayed): Decide it’s too much of a headache to leave and you’re 90% going to be fine. Plan your hurricane party. Step 11: Post pictures of the blue skies on instagram. Wonder if you made the right call. Second guess yourself 18 times. Step 12: Wait for the storm to pass. Wherever you are, we hope you are safe, prepared and have plenty of snacks. Thinking of all of our military families as we weather another storm. There’s a reason military spouses are always called resilient: Because we are. Hang in there and know that you’re not alone! Love what you’re reading? Get news, encouragement, hilarious memes and even the occasional cat video in our biweekly newsletter, The Sip. Informed looks good on you. Subscribe here today and get a chance to win $1000. Is your flight about to be canceled?